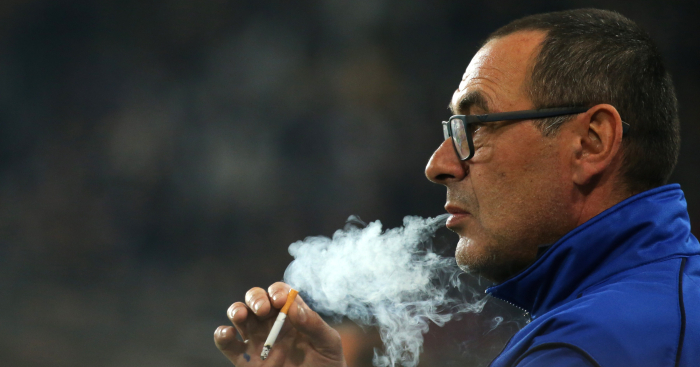 Chelsea players were reportedly surprised earlier this season to see manager Maurizio Sarri and his coaches smoking on the sidelines in training. The Italian tactician is a known chain-smoker, and the Telegraph claim this has been a topic of discussion among Blues players this season. 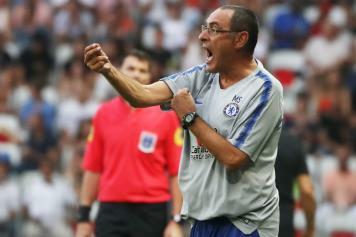 In general, the Telegraph’s report points towards Sarri losing some authority at Stamford Bridge, as happened with Antonio Conte last season.Sarri’s future now looks in doubt after the 6-0 thrashing dealt to them by Manchester City at the weekend – their worst defeat in the Premier League era. It remains to be seen if the former Napoli boss can realistically recover from that, with the Telegraph suggesting he has around a fortnight to save his job. As his position comes under scrutiny, it is inevitable that little details like his smoking habit will come under the microscope too. It does seem a tad unprofessional by the standards of modern football to see managers and coaches puffing away while players are trying to train and maintain peak fitness as is required of athletes these days.